“Welcome to Fiji”, announced the captain of the Atlantic Pacific, Boeing 747-400. 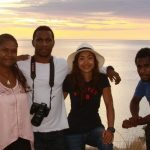 It had been a 10 hour and 45 minute flight from Los Angeles to Nadi, the third largest municipality on the Viti Levu Isle. 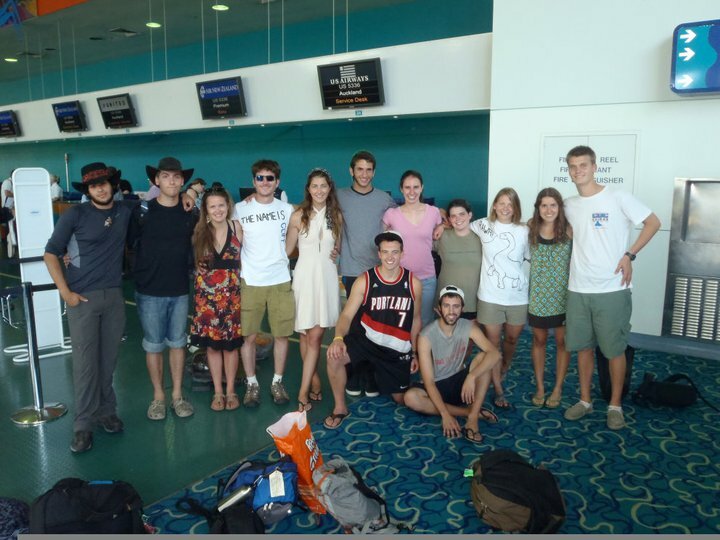 Fiji was the first stop of a Cultural-Volunteer Expedition Lead by Carpe Diem followed by, New Zealand, and Australia. Our purpose was to live, learn, and aid, to fully acclimate ourselves in the spirit of Fiji. As the team left the plane, we felt the balmy, warmth and humidity of the weather in Nadi. Men in skirts greeted us “Bula!” as they performed with the local instruments. The excitement momentarily combated the banality of checking into another country; VISA counter lines, heavy luggage, and screaming babies. Legalities concluded we exited the airport as mysterious and colorful birds flew overhead. 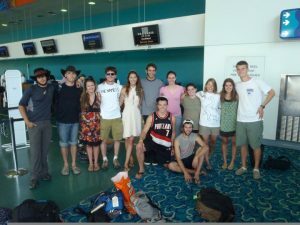 We waited for our transportation to take all thirteen of us, to the Backpackers Hostel in Downtown Nadi. As we checked in Backpackers, the situation fully revealed itself of where we were, and who we were now. As travelers all of us had willingly left what we knew in exchange for the exotic, and there was a certain camaraderie which came along with that. 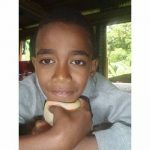 We used the three days we stayed in Nadi, to bond, and learn about this new culture and its customs. Day one we knew that “Bula” meant hello in Fijian, and found out that the country runs on “Fiji time.” This is a concept which sees time and schedules as a lax suggestion. We bought Sulus of our own, and learned that cannibalism has not existed since 1907. 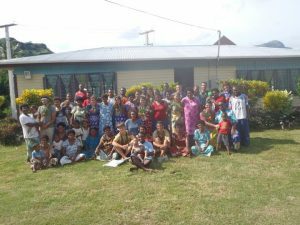 Soon enough, it was time to leave Nadi and travel towards the village. The beauty of the countryside was extraordinary; mountains dotted the horizon while dense trees littered the landscape. At the time I had no idea I was driving closer into the backdrop of my impending doom. 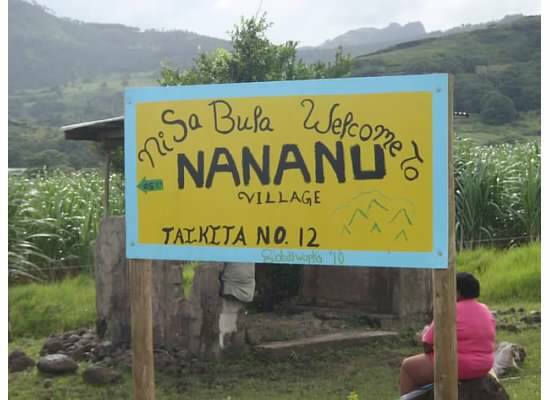 “Welcome to the Nananu,” read the sign; we had arrived at our home for the next two weeks. As a sign of respect our backs remained bare; all of us hoisted our packs onto our bellies. The Nananu greeted us warmly and led us under a large canopy, while we waited for a family to select a pair of us to stay in their home. Eventually, I saw the family that I would soon become a part of. I walked on a cement path as I was led to my new home. 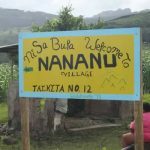 The hospitality of the Nananu was astounding; they gave up their beds for us and slept in their living rooms. It was time to be formally welcomed to the community. Inside the city center, one by one each of us received Kava, a mild narcotic beverage made from a Kava root and served in a coconut bowl. Kava being made of root and water strongly reminds one of earth, cloudy in color. When drunk from the coconut bowl, the Kava creates a numb stinging sensation on the tongue. The business of assimilating into a culture makes one very tired. I slept well in the room I was provided, and the mosquito net proved to be well needed. 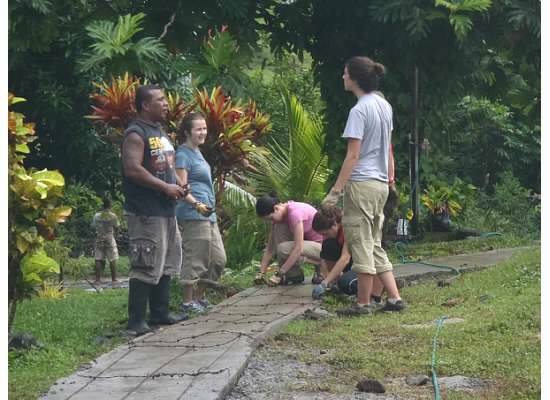 The next morning it was time for the construction of a cement footpath, an ongoing project of the Nananu for years. The importance of a footpath became apparent when it rained heavily for three days. The whole village was beset by mud inches deep, as I found out when I slipped right in it. On one particular day, the team went on a hike to a waterfall deep into the forests and mountains. 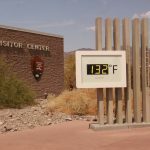 I climbed, but this hike had something else in store for me. As I went uphill, I lost footing. The force and weight of the fall came directly on my right knee. This truly was a breathtaking pain; on its own it was a minor injury, although it left a deep wound. I went on not thinking much of it, not thinking that inside two vicious infections had taken host and threatened to take leg and life. Over the days, I felt an increasingly stinging sensation on my knee. I was too enamored with my location to care. Since they are Christians , I accompanied my family to the Church in the center of town; although, the sermon was spoken in Fijian. 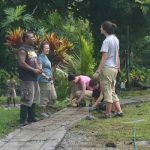 Each day we worked on the cement path, weather permitting, and every day I found myself more uncomfortable, as my knee began to sting and itch. I took my mind off the pain by plucking guavas from the trees. 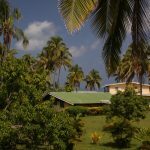 I swam in the Fijian rivers surrounding the village, which was a great relief from the heat, but upon retrospect most probably exacerbated my infection. Like all good things, time with the Nananu came to an end. Two weeks of eating four daily meals and living life isolated from technology, we forged lifelong relationships. 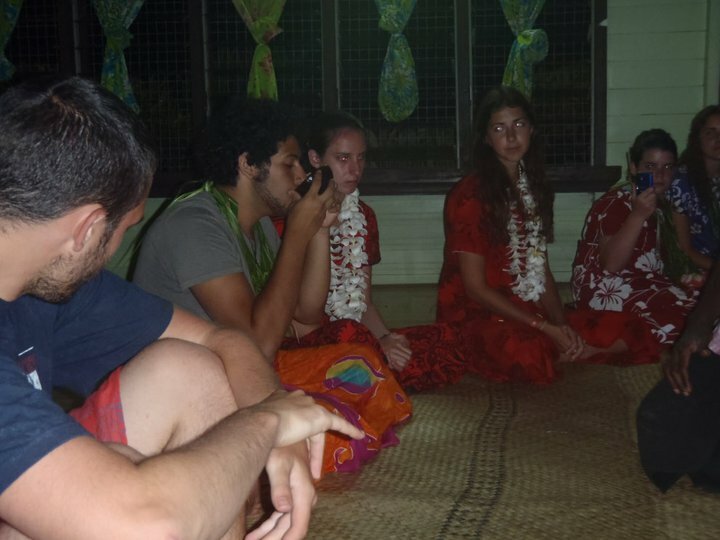 We had one last celebration with the Nananu; I spent most of the night dancing and drinking Kava. The morning after as we were leaving, I noticed tears from my teammates and the Fijian families, but not from me. My only thought was that people come and go, learn from each other and depart. Leaving the Nananu I noticed the pain in my knee changing from a small stinging sensation to a burning sensation, which I assumed was due to the dancing. Auckland, the largest city in New Zealand, was our second assignment. The itinerary had us stay in Auckland for three days, then out to an organic farm; but the best-laid plans sometimes fail, miserably. By the time the plane landed, the pain in my knee had intensified, and there was a slight swell. 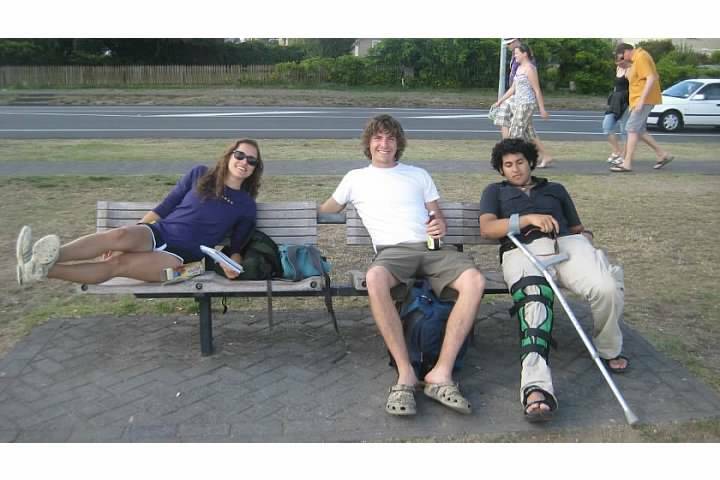 We went to another Backpacker hostel where I was planning a hospital visit to deal with the injury. Meanwhile, my teammate Dylan and I went exploring in the city. With my personality being a mixture of persistence and indifference, I continued to walk until I couldn’t. My knee felt heavy, and the action of straightening the leg after remaining bent was agonizing. So we took a cab back to Backpackers. When I got there and spoke to my team leaders, Cliff and Karen, I was told to R.I.C.E (Rest, Ice, Compress, and Elevate) the knee until the swelling went down. When I went to the bathroom in the Backpackers, I tried to clean my knee and ice it. By some divine intervention, a chance encounter with a backpacker with a possible German accent had taken place in the men’s room, when he saw my knee. With the most serious demeanor he described the severity of my injury. “It’s filled with fluid because of an infection, you have to go see a doctor, and drain it before it becomes gangrene, and you lose the leg, go immediately” Naturally, that did not sit well with me. Funny enough that was the last day I would ever walk with an unscarred knee. By nightfall I could not stand and had to limp to the bathroom. By morning I had a fever, left my team, and was admitted into Auckland City Hospital. On a gurney and being sent back to my room, I thought, “how could I let this happen?” There was something contemplative lying on a gurney after an operation. My carelessness manifested itself in a big way. I suffered a major consequence that shifted my view on everything. I was left in bed, surrounded by hopeless moaning , and regrets. All the confidence I had was replaced with a kind of hopeless mortality and pain. The only thing that helped me was the morphine. Morphine was given to me to combat the very real pain. Conversely, it also relaxed my mind to a state of tremendous bliss. I’ve never been that tranquil, I felt I deserved it. 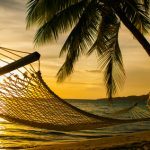 I remember Karen talking while I was visualizing a calm beach, the tide’s gentle rolling, clear blue skies, and I even heard the waves. Leon also had a Morphine drip, so we could both leave our pain behind. Finally, I was cleared to leave, as well as Leon. I was glad neither of us had to suffer the hospital room on our own. I was ready to go. The doctor had given instructions on how to redress my surgical wound daily; thus, I quickly became familiar with the smell of anti-septic. 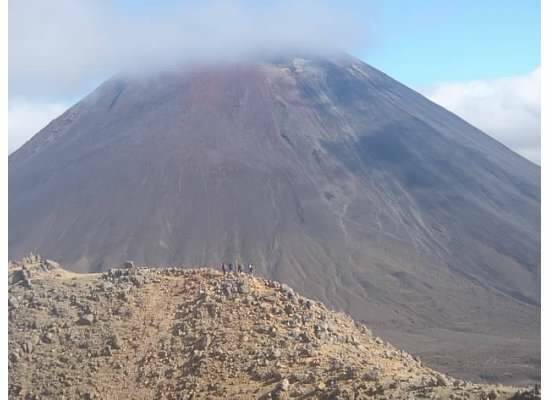 I eventually rejoined my team and I was able to summit the Tongariro Mountain Range , Mount Ngauruhoe , and a three-day hike on the Routeburn trail . My legs and willpower took me as high as I could go, and as far as I could walk but that was the end of my audacity. By the time I got to Australia, I took a turn for the worse. I was strongly advised to leave the expedition. I remember my Doctor’s words clearly “you have to redress this wound, every day and keep your leg from moving. 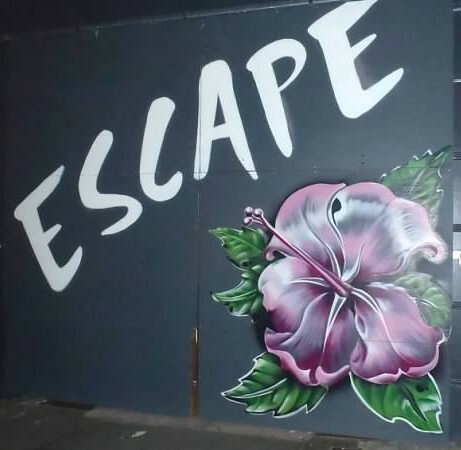 The dusts from where you’ll travel to will enter the knee and be in danger of becoming septic, and once inside your bloodstream it would be potentially fatal.” I said my goodbyes and stayed behind in Adelaide, Australia. Alone, I was left with my thoughts again; only this time I had no company and no purpose. Stranded in Australia, at the risk of death, boredom and alcohol pads is all I had. 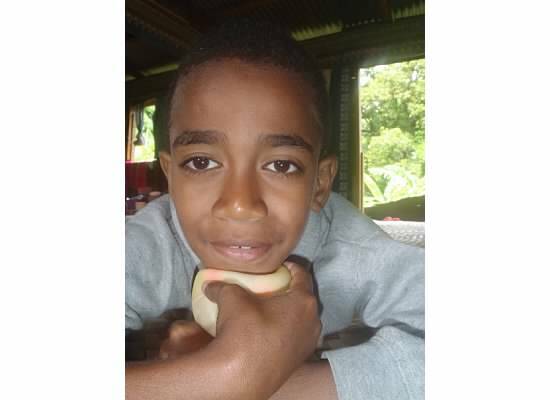 I thought about everyone I met, the Fijians, Leon, my team. I had worked hard to not let my injury become an excuse to fall behind and it was all gone. I didn’t know how to justify it. I thought about just lying down and giving up, it was a waste. I then remembered what my mountain guide Mark had said “Don’t let your injury become your excuse.” He asked “how would you define success if you made it 10 feet near the summit but could not finish, did you succeed?” I was not one to let an injury become the excuse to limit myself. As long as I put all my efforts into achieving my goal, I had already succeeded. After 3 months, the experience I got dealt was uniquely different from my teammates. I’m filled with some regrets, but they only relate to what I could have worked harder on. Life has a way of teaching you in a way you least want and expect. The only thing I could do was get angry or pay attention. What I came back with was a scar, which showed me otherwise. I wouldn’t change it for the world. Going home, I had a new sense of the world. The excitement of my trip permanently stamped on my knee. Going back to America, there was nothing banal about entering another country; VISA counter, lines, heavy luggage, and screaming babies. “Today, I’ve regained full mobility; although, there are some pains that never heal. I still feel the twinge of pain though minor it may be and I know it will never be as it was before. It was well worth it.